Interplanetary Abundance™ is a space resources trading game where virtual stock is exchanged between players, given predicted exchange rates communicated during the event. One of the space resources in the game is Asteroidal Platina Group Metals (PGM's). 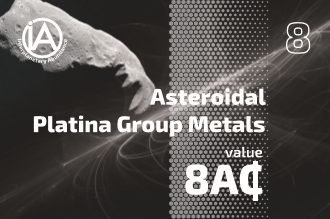 Read more about Asteroidal PGM's below. Millions of asteroids circle our nearest star, the Sun. Their orbits vary but most are in the so-called Asteroid belt in between the orbit of planet Mars and planet Jupiter. Many of them are also in the vicinity of Earth's orbit around the sun, the so-called Near Earth asteroids (NEA). Actually very little is known about the exact composition of many of the asteroids. Nevertheless, it is quite arguable that a number of them will have large quantities of highly precious PGM's ready to scoop from their surfaces. A recent Harvard paper predicts about 10 reasonably sized asteroids (~100 meter size) at manageable proximity from Earth. Already two asteroid mining companies have stepped-up and started making small steps towards getting the hardware ready for this out-of-world challenge. Planetary Resources was the first, started operation in 2012, backed by a number of wealthy individuals such as Larry Page and Eric Schmidt from Google and filmmaker James Cameron. 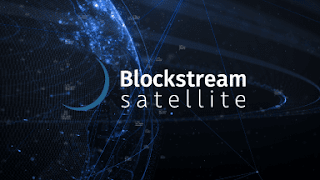 Their current approach towards asteroid mining is sequentially covered by sending three types of spacecraft into space. 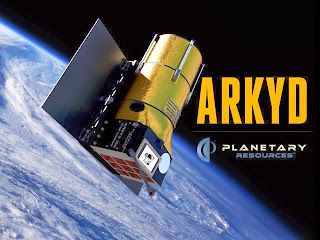 First is the Arkyd Series 100 Space Telescope, that will be able to scout for potentially viable asteroids from Low-Earth Orbit (LEO). Second is the Arkyd Series 200 Interceptor that will be able to leave Earth orbit for a close-up inspection of some of the target asteroids found by the Arkyd Series 100 Space Telescopes. Third is the Arkyd Series 300 Rendezvous Prospector which is a basically a more capable Interceptor. 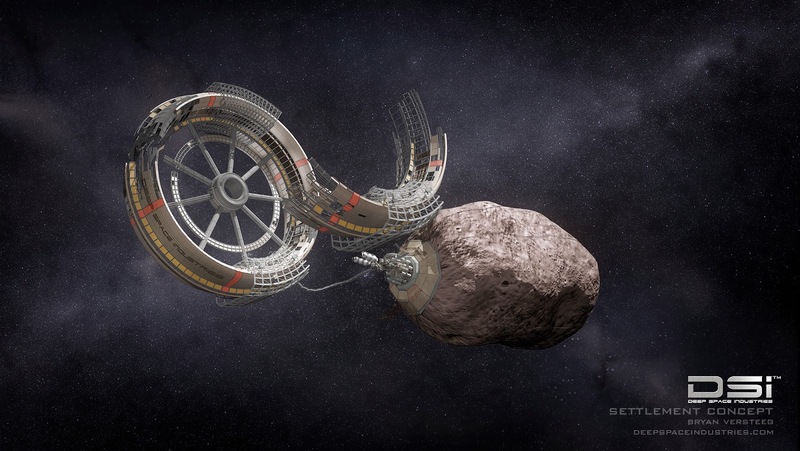 Another company that announced asteroid mining plans is Deep Space Industries. Their approach to asteroid mining also contains three segments. First is the Firefly spacecraft for prospecting asteroids. The dragonfly will be harvesting asteroid materials, where a micro gravity foundry will process these materials towards components by in-space 3D printing technology.